groundwork for future research in the economics of aging. 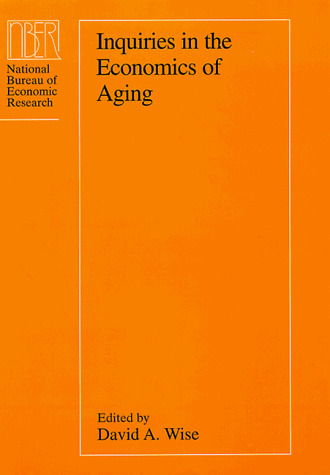 Inquiries in the Economics of Aging provides a timely overview of some of the most important questions facing researchers on aging and outlines new techniques and models that may help to answer these questions. This important volume will be of great interest to specialists and policy makers as it paves the way for future analysis. David A. Wise is the John F. Stambaugh Professor of Political Economy at the Kennedy School of Government at Harvard University. He is the area director of Health and Retirement Programs and director of the Program on the Economics of Aging at the National Bureau of Economic Research. Does Medicare Eligibility Affect Retirement?